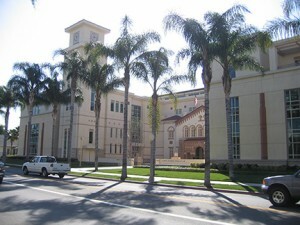 For the fifth year in a row, graduates of Chapman University’s Dale E. Fowler School of Law have exceeded the California ABA-accredited law school average pass rate on the state’s bar examination. The Fowler School of Law is one of only seven law schools in the state to have exceeded the state average pass rate in each of the past five years. The Fowler School of Law’s first-time pass rate was 71.2%, more than two points above the state average pass rate from ABA-accredited law schools, and almost 25 points above the overall state average. Of 118 Fowler Law alumni applicants, 84 passed. Three repeaters also passed. Zhara Al Nadaf; Andrew Amano; Jack Anderson; Alexandra Andreen; Anum Arshad; Arthur Arutyunyants; Rachel Baker; Alyson Bashor; Jared Berman; Ben Bertch; Grant Blanco; Veronica Buckels; Merritt Cosgrove; Matthew Cox; Stephanie Crosson; Andrew Cummings; Alison Dang; James Decker; Megan Demshki; Brendan Dominguez; Priscilla George; Nida Hasan; James Henson; Amanda Herman; John-Christophe Hughes; Monica Huie; Andrew Iles; Alexandra Iorfino; Anela Isayeva; Boyd Johnson, Nicole Johnson; Sarah Johnson; Nicole Kahn; Daniel Kalinowski; Elyse Kaplan; Avie Kapoor; Nilofar Karbassi; Laurie Keating; William Kelly; Megan Lane; Tien Le; Kane Leonard; Julie Lin; Claudia Lopez; Michelle Lumasag; Julianna Madden; Jordan Maggard; Jonathan Mason; Shane Melzer; Bonnie Micheil; Robert Montanez; Jamie Murdock; Kaelan Nguyen; Issa Nino; Hannah Passano; Matthew Pellegrini; George Peniche; Lisa Poladian; Anna Evans Putterman; Matthieu Putterman; Shea Randall; Katlin Richey; Parisah Robinson; Ravyn Rowland; Shaun Sanders; Kareen Sassounian; Jonathon Sawyer; Allison Scott; Clark Selters; Madiha Shahabuddin; Hamza Siddiqui; Maxwell Skipworth; Kyle Smith-Murray; Hadeer Soliman; Michelle Standfield; Christopher Stark; Michael Stodolka; Ryan Streckfus; Jennifer Tedmori; Amanda Thompson; Tyler Toomey; Kevin Vandenbroeke; Kole Vaughn; Dalia Wahab; Janelle Wilke; Jay Yu.